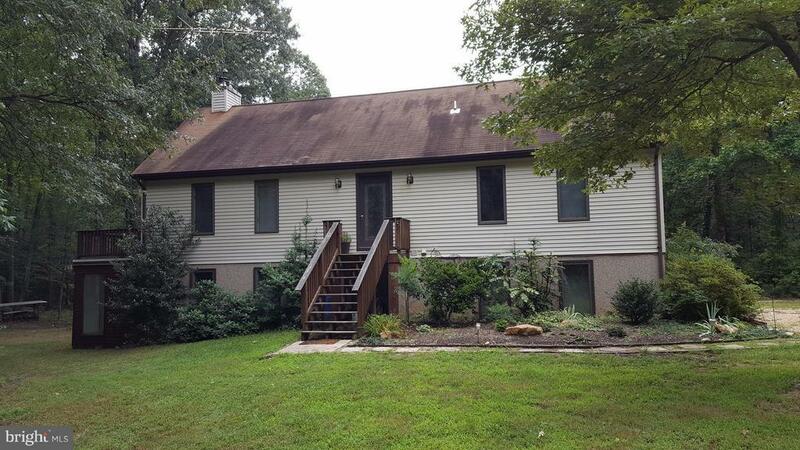 Secluded 3 bedroom contemporary with access to private beach, dock, and boat ramp on the Potomac River. Surrounded by more than 8 acres of woodland. Cathedral ceiling in living room. Loft area. Storage shed. Deck. Garden plot. Central to Dahlgren, King George, and Fredericksburg. A unique find in King George. Finished Basement.